Neanderthal siblings Lucy and Andy are back to their paleo pranks. This time, they have to put up with more than just each other—the cave is feeling awfully cramped since the humans moved in. They’re in the Ice Age, and legroom comes at a real premium! Happy-go-lucky Narwhal and no-nonsense Jelly find their inner superheroes in three new under-the-sea adventures. In the first story, Narwhal reveals his superhero alter-ego and enlists Jelly to help him figure out what his superpower is. Next, Narwhal uses his superpower to help a friend find his way back home. 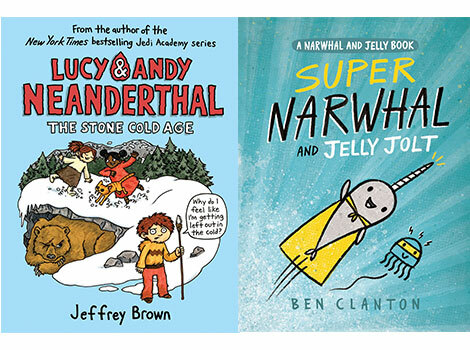 In the third story, Jelly is feeling blue and Narwhal comes to the rescue. Wordstock: Portland’s Book Festival admission is FREE for attendees 17 and younger and/or with valid high school ID! Reserve your ticket today.